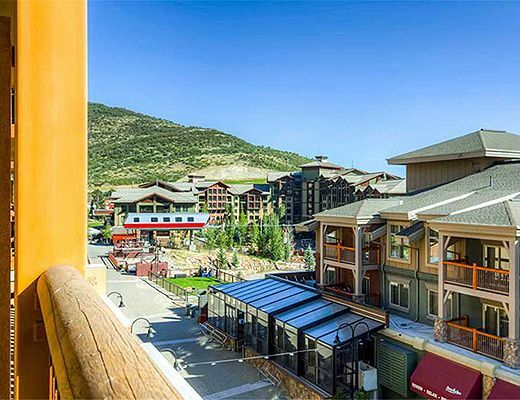 Sundial Lodge, located at the heart of Canyons Village. 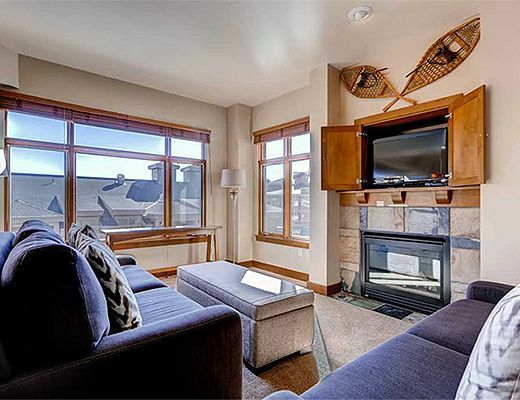 Attractively blended into its surroundings, Sundial Lodge is base camp for all your mountain adventures. 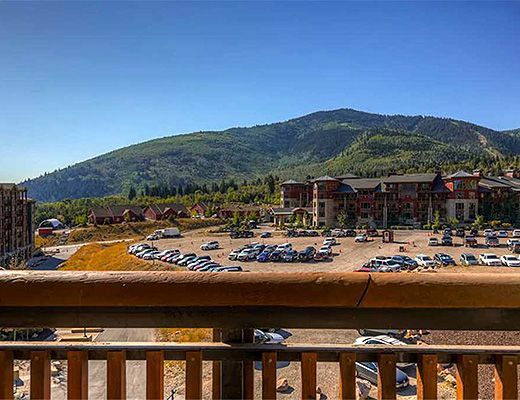 With spectacular views of the surrounding mountains, guests at Sundial Lodge will experience the utmost in living at Canyons Village. 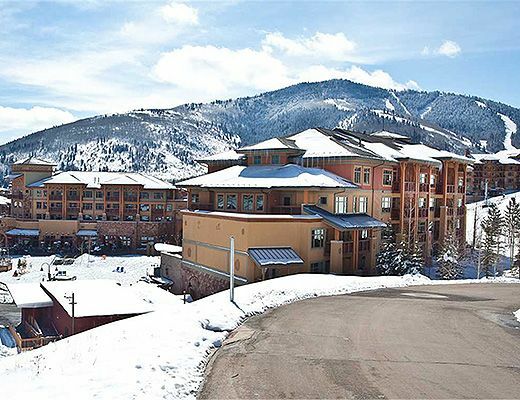 Walk two minutes across the plaza to the Flight of The Canyons gondola and ski your heart out! 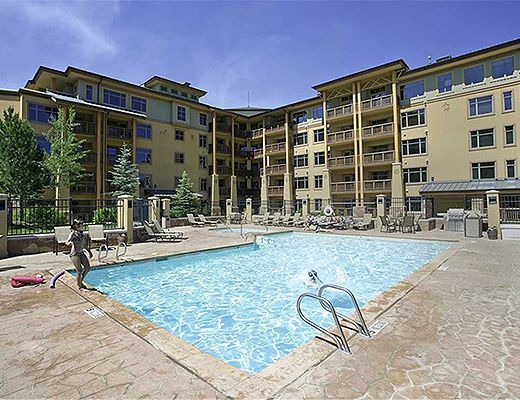 Sundial Lodge offers two spacious rooftop hot tubs, as well as an outdoor pool, an additional hot tub, and a fitness room. 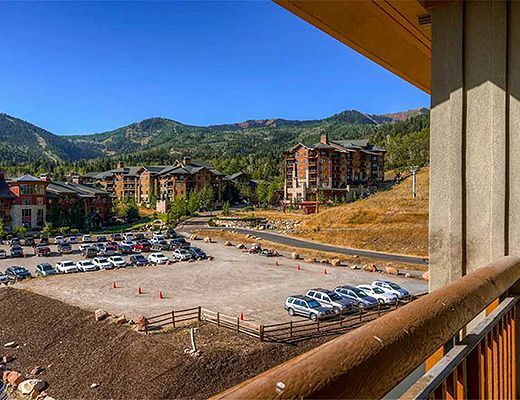 Underground parking, valet service, and elevator access are additional amenities available at Sundial Lodge. 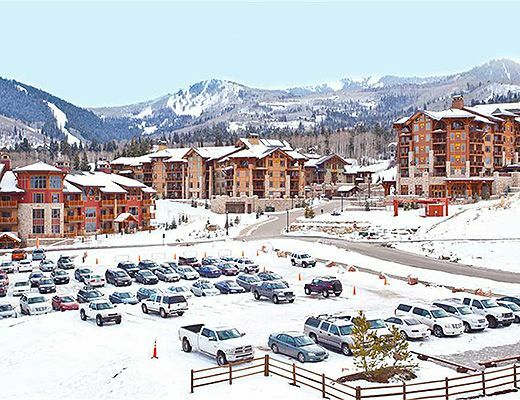 Sundial Lodge is on the Canyon's Village shuttle route, providing service to Main Street at the top of the hour throughout ski season. 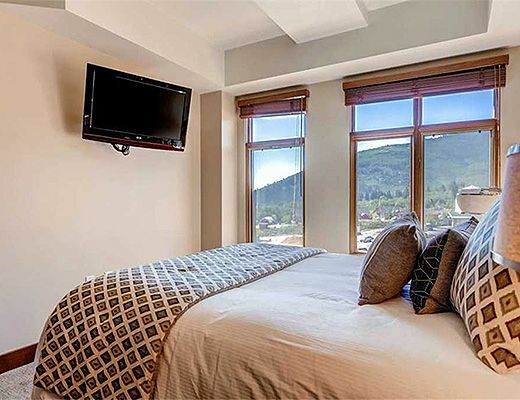 Guests should contact the front desk for more information. 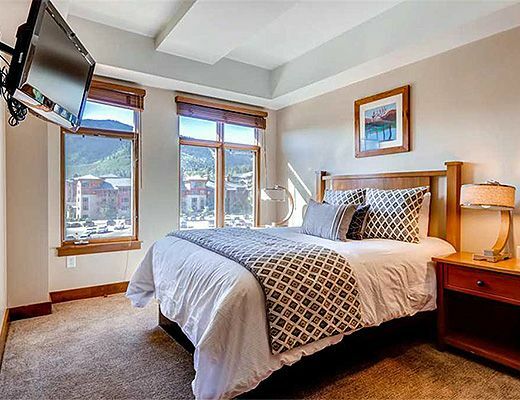 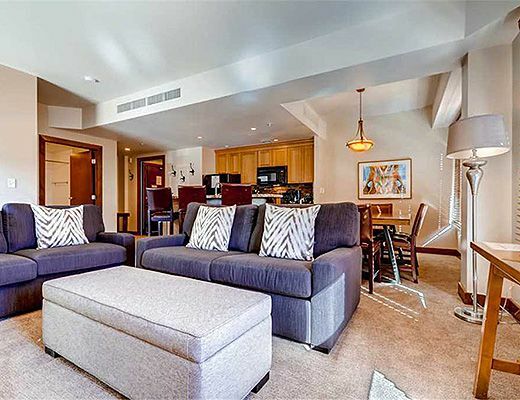 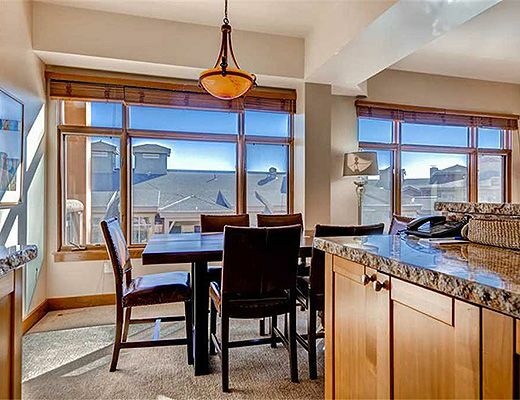 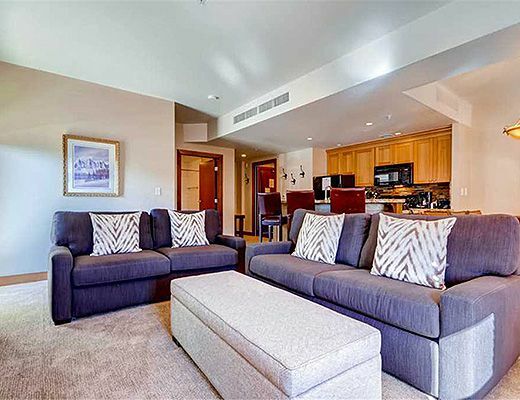 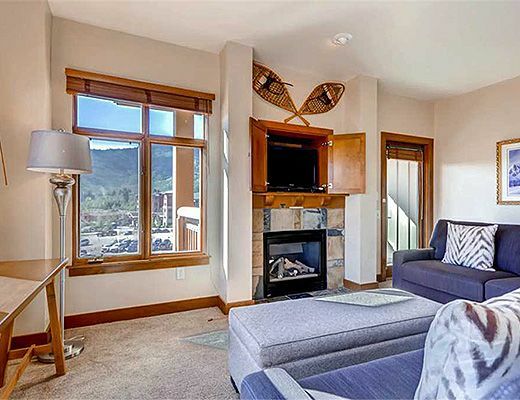 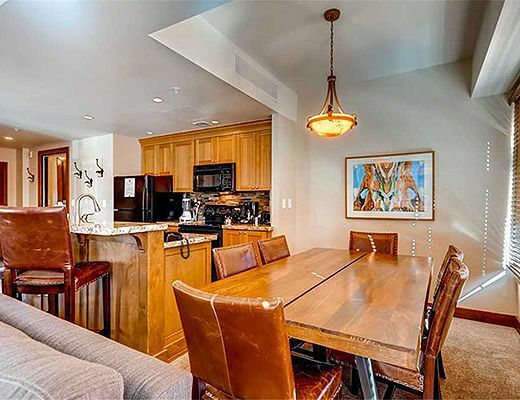 This 2-bedroom/2-bath condo offers ski resort views, gas fireplace, jetted tubs, internet access, and a fully-equipped kitchen complete with an array of modern amenities. 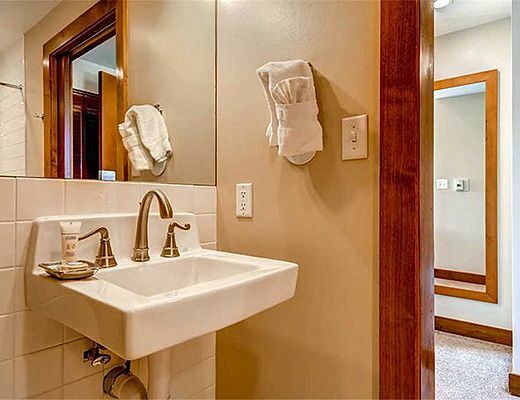 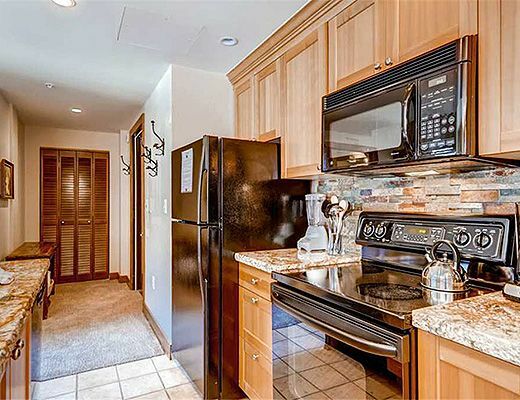 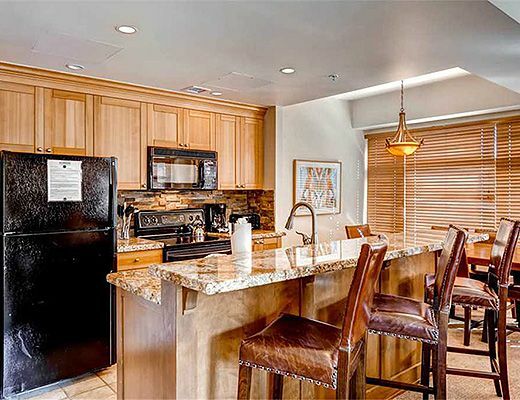 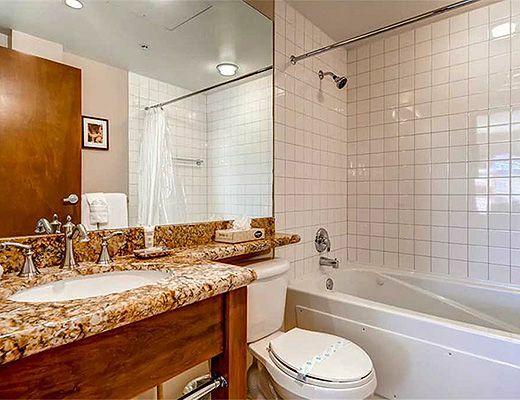 This unit has been upgraded, with new kitchen, including granite countertops, as well new furnishings and amenities. 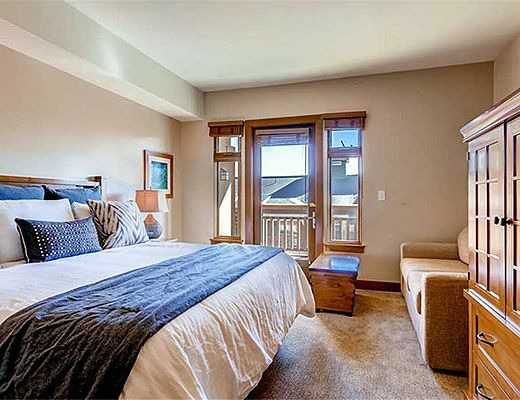 Bedding includes a king in the first bedroom and a full-sized sleeper sofa, queen in the second bedroom, and an inflatable queen EZ bed for additional bedding.